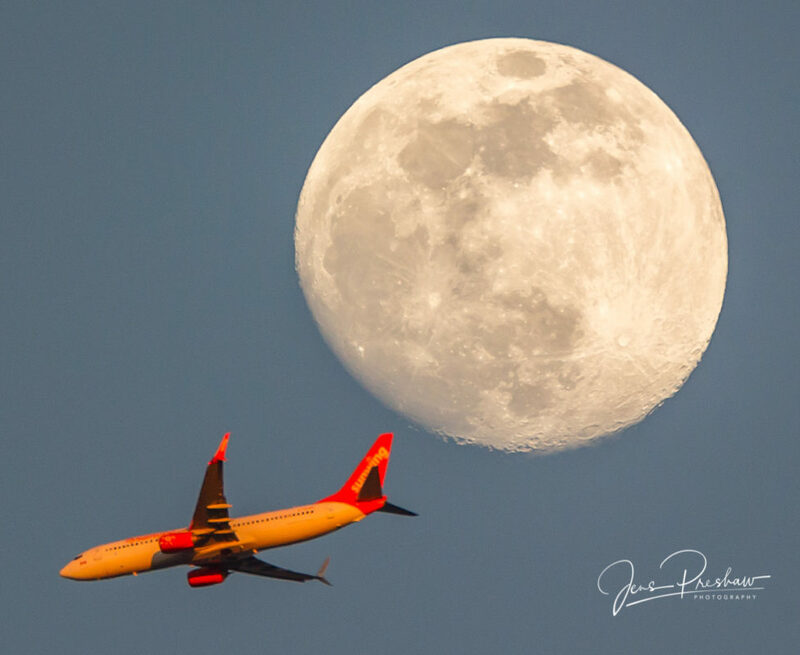 This evening I was taking images of wildlife, when I noticed out of the corner of my eye, that a Sunwing aircraft was going to pass in front of the moonrise, so I quickly took a photo. This is not a Photoshop composition, its straight out of my camera. Along the edge of the moon you can see details in the craters. This entry was posted in British Columbia, West Coast. Bookmark the permalink.